...ough famous Golden Gate Park. Drive through Fisherman's Wharf. 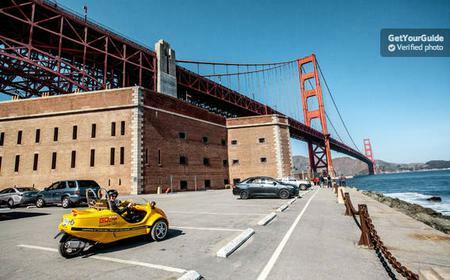 See China Beach, Baker Beach, and cruise by the Presidio. 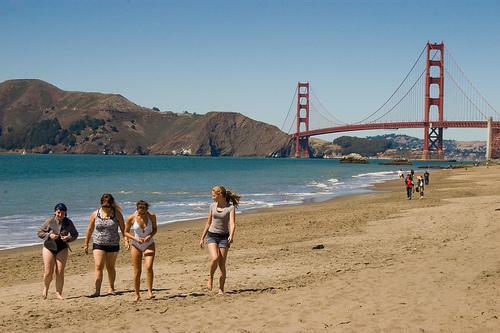 A beautiful, immaculately kept 1 mile stretch of beach, set just behind the Golden Gate Bridge. 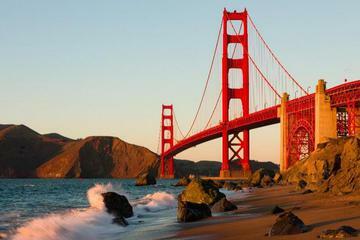 A beautiful, immaculately kept 1 mile stretch of beach, set just behind the Golden Gate Bridge. Unfortunately, due to strong currents, the beach is not very safe for swimming, but it does have many outdoor barbeques and designated picnic areas to eat and relax.